I’ll shortly be setting of on my hols to France. I’ll be hiring a car at the airport. I’m not sure if the rules regarding breath test kits are still in force. Could you confirm for me please? 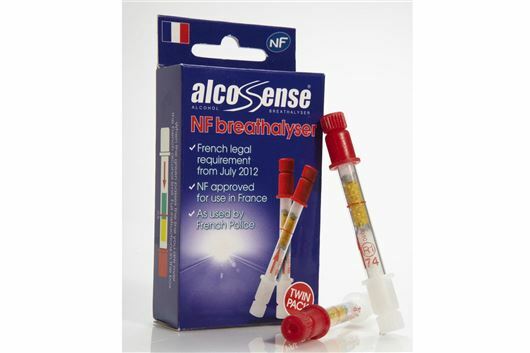 It was a high level scam to sell French breathalyzers (not Alcosense) and I've never heard of anyone getting done for not having one but the AA advises to take them. In post Brexit vote France with Brits being excluded even from EC citizen emigration channels, probably best not to chan it. Do purely electric cars like Teslas or Nissan Leafs have heaters, demisters, air-con, etc. How do they work? Yes, but they use electrical energy and using them reduces the range. They have other, more efficient means of heating occupants, such as heated seats that use less energy than heating the entire cabin. I purchased a 2010 model Focus Zetec 1.8 just under a month ago from a reputable Ford dealer. The car is great and I’m very pleased with it; it appears in excellent condition for its age and looks well put together. Plus, despite initial fears, if you drive it sensibly you can get 40+ mpg. There was an issue with a rubber door seal and this was replaced without quibble. I also alerted the dealer within the first week that the air conditioning makes a high pitched whine/whirring noise, that is most noticeable when you are stationary in traffic with the blower on low. The blower itself masks the noise on the ‘3 & 4’ settings and does not appear to be the source of the whine. The dealer agreed to take a look when the door seal was replaced and the technician accepted that there was a noise that was not quite right. A senior colleague also listened and advised that it was common for Focus air-con compressors to make a noise like this, due to a rotating element that can acquire surface corrosion through failure to use the air con regularly throughout the year. He advised that if I used the air con regularly, the whine might reduce and would get no worse. My quandary is that though the air con puts out cold air and the noise is mainly masked when you are driving at speed, when you are stuck in traffic, the noise is irritating. So would it be unreasonable to request the dealer to replace the air compressor, given the age of the vehicle and the fact that it is not actually broken. I only have a 3-month guarantee, though I know from your letter responses that there is potentially a 6 month window. This was not a Ford Direct car, so I was also sold what I accept is a ‘dubious’ 3 year TWG warranty, that I paid a discounted amount for and I’m sure they could find a way out of meeting any costs in relation to this item if it got much worse/failed. This can't be covered by an insured warranty because it pre-dated your purchase of the car. I think your best policy is to get it to an a/c specialist for an opinion from him. I don't remember hearing of this issue before, and I ran a 2008 facelift Focus II Econetic for a year. As part of a company car scheme managed by Lex, I placed an order mid December 2015 for a BMW 4-Series Gran Coupe with added extras of autobox and sunroof. After a number of delivery promises I am told the car is now due for delivery on 25th July, some 7 months + from order. I am getting feedback of “unprecedented demand for this model”. Is there something special about this car I am missing here? Having broken my back some years ago I now find that I need a proper lumbar support for the driver’s seat. I have had 2 Cavaliers, 2 Vectras and a Nissan Primera, all of which have had fully adjustable lumber support. However, we have now decided to go down to one car but I can only drive my wife’s Corsa for a short time until it becomes uncomfortable and all the above were too big for my wife to want to drive. Therefore I am trying to find small to medium car with the necessary support. When I was in Mallorca last year I hired an Opel Corsa and that had adjustable lumber support so I went to my local Vauxhall dealer to find out if they could provide a Vauxhall Corsa with the same seat. I was told that I had no chance of getting this in a Vauxhall Corsa and would need to be looking at the top end of the Astra range for that kind of refinement. So I am now trawling the various dealers to see what I can find and thought you might have the resources to provide me with a short cut. The best seats in any small car are in a FIAT 500. No lumbar support, but the essentials of a long, flat squab to support your thighs that is also tilt adjustable so you can get it exactly right. Also a lot more headroom than other small cars. Try one. I hit a pothole with my BMW 330 E93 at about 30 mph. Everything seemed OK and I travelled a further 3 to 4 miles home. The next time I started the car the ABS and traction control lamps illuminated. The car drives fine but obviously it will not have ABS or traction control. The steering wheel has not altered position and there is no obvious damage to the suspension, but as the car is so low it is impossible to examine it closely. Any advice would be appreciated. I suspect the shock dislodged an ABS wheel sensor. Get it checked at a BMW specialist. If it’s on 19-inch wheels with 40 and 35 profile tyres there’s also a chance that you’ve damaged a wheel. I wanted to make you and your readers aware of a potentially very dangerous design problem with the Ford Focus (and I would assume other Fords based on the same basic design). The heater matrix failed, scalding my legs, and I crashed the car. It seems that its weakest point is directly over the brake pedal. So if pressure builds in the system it will vent by sending boiling, high-pressure steam onto the driver's left foot. This was a terrifying and potentially very dangerous situation that I would hate to happen to anyone else but I can get no agreement from Ford to even investigate. If this is a serious safety defect that can surprise the driver you need to report it to the DVSA for recall. A very similar thing happened in the 1980s with VW Golf and Jetta Mk IIs. There, the heater matrix failed, instantly filling the car with steam, which obscured all the windows and made the car impossible to control in low winter temperatures. The DVSA does not get to know about things like this until drivers complain. Your car is now more than 5 years old but I have not received any other such complaint even though there are more then 60 reported faults with the model. Just over a month ago, I bought a 117,000 mile 2009 VW Golf SE TDI 140 DSG from a dealer in Barry, Wales, having seen the car advertised on the Parkers website. I spoke to the dealer's manager at length to find out if there were any issues with the car when it was last serviced; when the cambelt was last changed and whether it would come with a warranty. I was assured in writing that the car was completely perfect, with no faults, had been recently serviced and would come with a 3 month parts and labour warranty. I arranged for the car to be delivered to my home address and was going to test drive it, but three guys arrived with it very late (after 10pm) and as my children were asleep there was no way I could take it for a test drive and it was intimidating having three men in my house, hovering over me with the contract. I said again, are you certain that there is nothing wrong with the car - they said no, and I signed on that basis. They handed me what they said was the warranty, but when I checked it later I saw that it was just a booklet from World of Warranty, with a phone number. When I phoned them, they said that there are no details of my car on their system and that I should call the dealer to ask them to load the details. I did, and another man calling himself the manager said that he would sort it out straight away. The first time I drove the car, it made a grinding sound when going from stationary when I pressed the accelerator. I immediately phoned the dealer ‘manager’ to tell him and he said that he hadn't been aware of this but if I got a quote to get it repaired then he would put the money in my account in full for the work and labour. It took me a week to locate a garage that was able to even look at the car as I was repeatedly told that it would need a specialist in automatic gearboxes. They said they thought it was a fault with the clutch pack. I was told that the problem was with the DSG clutch pack; the clutches were very worn and in their opinion this problem must have been known by the dealer. The quote was £2,059 plus VAT for stripping out the gearbox and replacing the clutch and possibly an additional £1,679 plus VAT for further work. I called the dealer ‘manager’ and he said that he would look into it and get back to me. This was over a week ago. I have since phoned him every day to get a resolution, but have been fobbed off by him, saying that he has to speak to his "boss". I feel desperately anxious. I purchased the car to get a safe vehicle for myself and two young boys and have always driven Golfs in the past and never had any issues with them. Luckily I still have my old Golf to drive, but it is a huge source of stress and worry. I believe that I have rights under the Consumer Rights Act but what can I do to bring this to a speedy resolution? I am now asking for a full refund. I would be very grateful for any advice you can impart! You are now going to have to get a solicitor involved. You sue whoever you paid for the car. The dealer doesn't have a legal leg to stand on. Law here: /faq/consumer-rights/ Get onto this straight away. Happily it can't be more than the £10,000 County Court Small Claims Track limit.